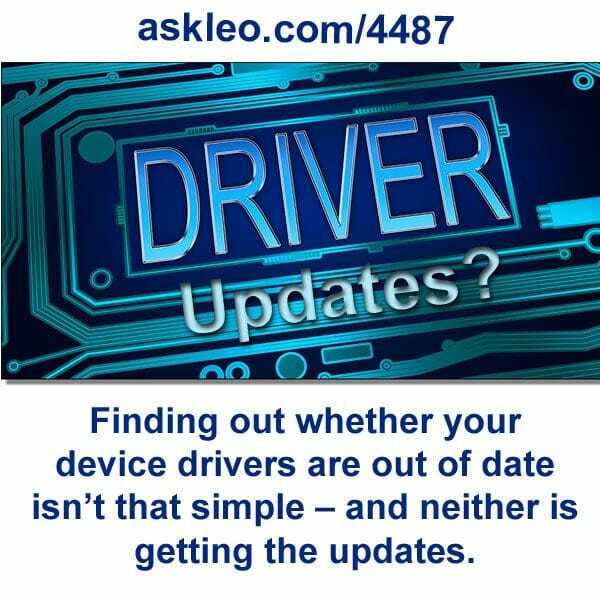 Finding out whether your device drivers are out of date isn’t that simple – and neither is getting the updates. - Ask Leo! Finding out whether your device drivers are out of date isn’t that simple – and neither is getting the updates. How and When Should I Update Drivers? - Drivers are critically important components of your computer, but knowing when and how to update drivers isn't as easy or as obvious as we might like.